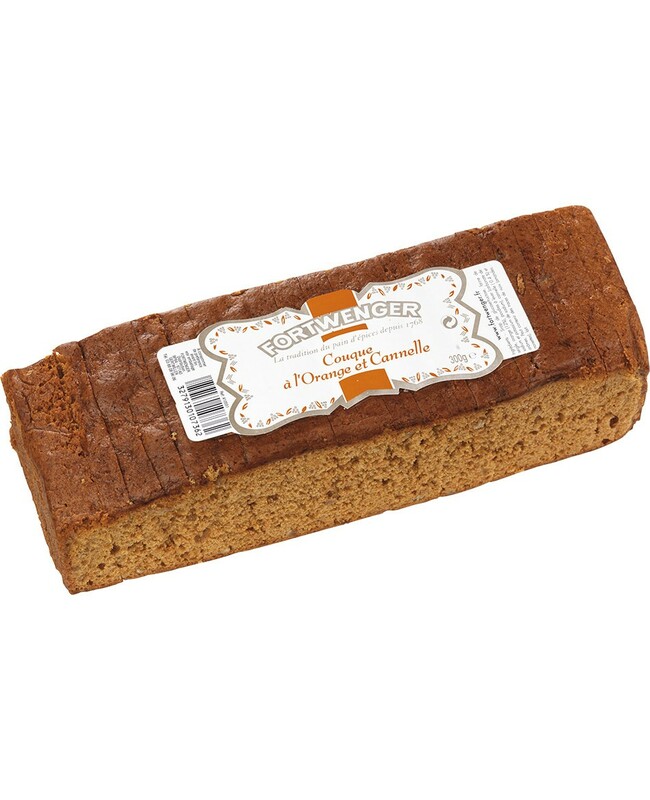 An authentic gingerbread loaf, pre-sliced, with pieces of candied orange peel and flavoured with cinnamon. 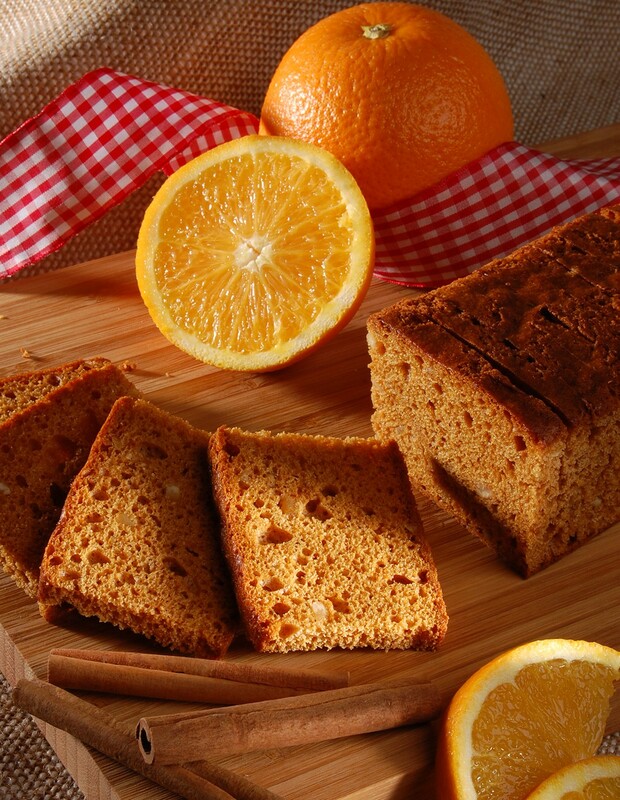 Glucose-fructose syrup, rye flour (gluten),candied orange peel 12% (orange peel, glucose-fructose syrup, sugar, acidity regulator: citric acid), raising agents (sodium carbonates, disodium diphosphates), cinnamon 0.2%, flavouring. Gluten. May contain traces of nuts and milk.